Do you absolutely love earrings? Does going through your day without earrings leave you uncomfortable and naked? We you buy a pair of earrings if you left them at home for the day? 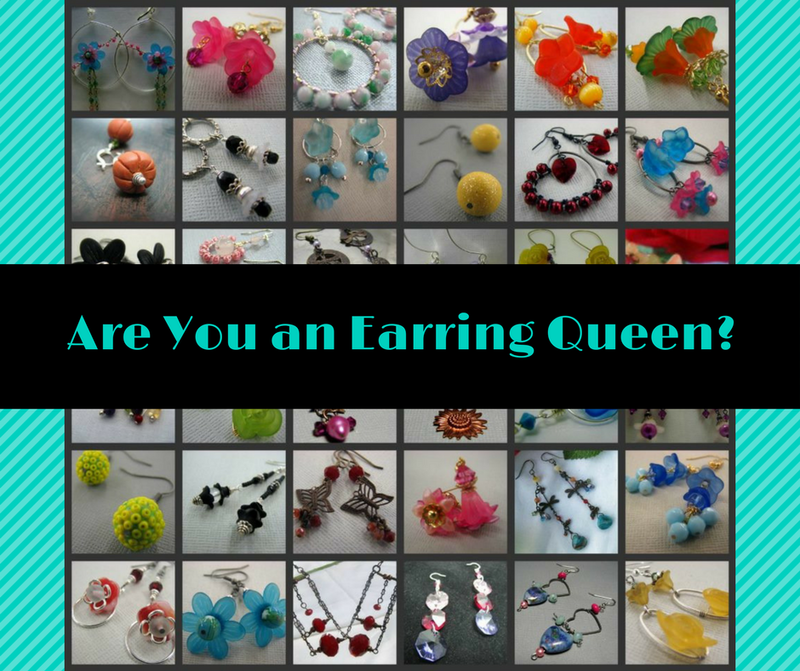 If so...then you are an Earring Queen!!! I need your royal opinion and expertise for a very exclusive design team. Send me an email to or direct message on Facebook to be added to PinkIce Jewels' elite earrings group. Did I mention free earrings to the members? Weekly winner is . 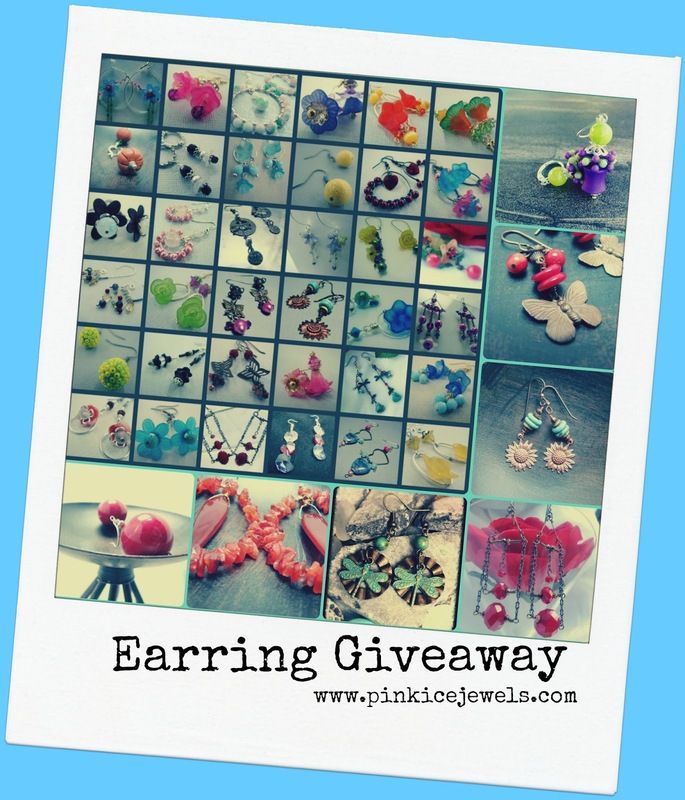 . .
Every week there is a earring giveaway. The winner's are posted every wednesday around 5pm. 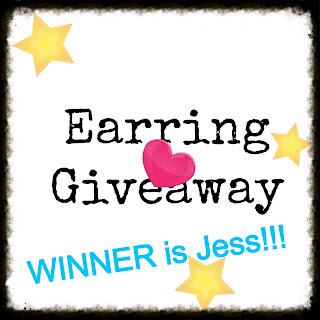 This week's winner is Jess. Join today...you don't want to miss out!!! You could win a twelve month supply of beautiful jewelry and other handmade items created by PinkIce Jewels. The winner will receive free jewelry valued at $30.00 or higher. You must be a member of email list to enter our contests, both the weekly giveaway and the annual sweepstakes. No purchase necessary to win prize. There is only one entry per email address. Participant must be 18 years of age or older at the time of entry. Participant must remain on the email list for the duration of the contest promotion (twelve months). This is a general information post. The deadline to enter contest will be announced in a specific blog post. If the winner does not submit a physical address for postage within seven days, then another winner will be selected at that time. Winners usually began receiving their prize in March of the following year and will continue through February, for a duration of twelve months. Hello. My name is Serena Trent and I thought I would officially introduce myself; give some insight into my life. Along with motherhood I am also single but parenting jointly with their Dad. Can I tell you this is no easy feat but all in all its extremely enjoyable. I have a lot of fun with my children. Outside of my children, I love to write poetry and short stories. Drawing and painting are recent hobbies that I have dabbled in this past year. I am a seamstress as well but jewelry is by far the hobby I'm most passionately drawn. We will not discuss jewelry today. On most days though I don't have time for my other hobbies, between the children and PinkIce Jewels it's all soaked up into life. Last but not least, I am a believer of Jesus Christ who is currently experiencing a spiritual awakening. What that really means is that I have realized that I've been a religious Christian going through the motions, not understanding or believing that I hold the power to create, change and/or manifest anything I want in my life. And this happens all through words and though just as God created Heaven and Earth in 7 days. My new found spiritual freedom will not have me converting nor arguing with any one on my nor their beliefs. Why you might ask because I know the truth and truth has no need to argue. I'm hoping this will give you a feel for me and a little of who I am. 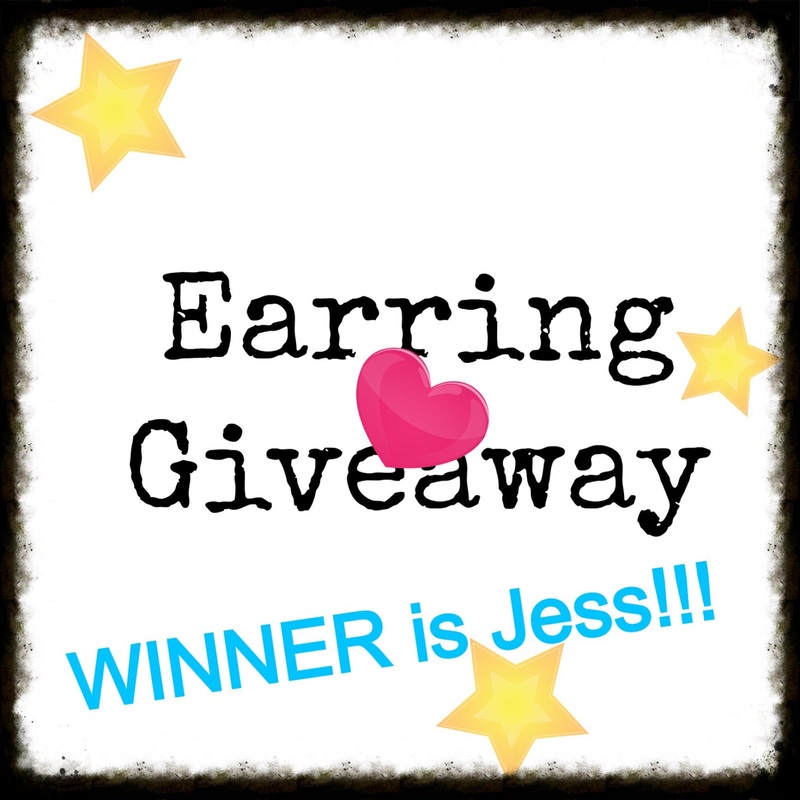 Enter to win a beautiful pair of earrings by completing the survey (click the link). You must supply an email address to enter. The deadline to enter is April 21, 2017 at 11:59pm. The winner will be announced here on this blog as well as Facebook. 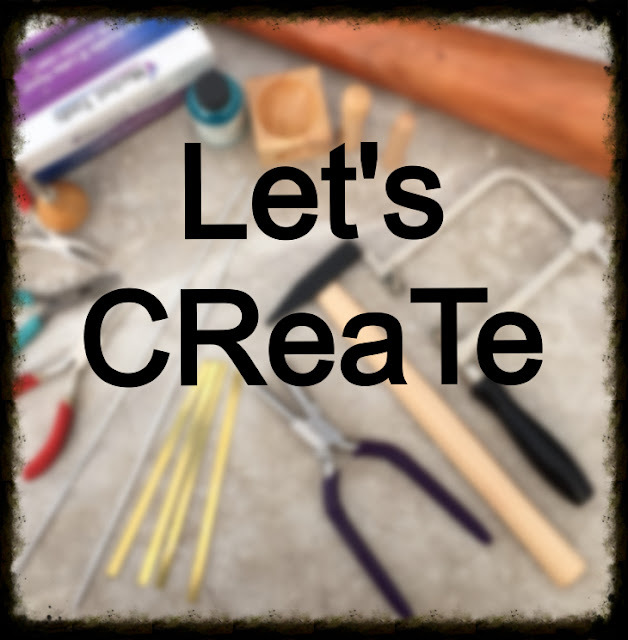 Join our Facebook Group and receive two entries. Thank you for entering and the best of luck to you! Giveaway is closed. A winner has been selected and will be announced as soon as the name is confirmed. Thank you for entering. Please stay connected for more free jewelry. The deadline to enter is February 20, 2017 at 11:59pm. The winner will be announced here on this blog as well as Facebook. Sign-up now! Trust me...you don't want to miss this opportunity!!! Help me design beautiful jewelry that you will love to wear everyday. I am busy at my computer creating a great plan to designing my new product line. And I so want you to join me. So much so that I have even created a secret Facebook group for us. So hurry...you don't want to miss this, I promise! **If for some reason the sign-up form did not pop-up when you initially came to this page then please click here.